The researchers compared the effectiveness and side effects of amphetamines (including lisdexamfetamine), atomoxetine, bupropion, clonidine, guanfacine, methylphenidate, and modafinil with each other or with placebo over 12 weeks of treatment. Although they are commonly prescribed for people with ADHD, the study did not include antipsychotic drugs or antidepressants as they do not treat ADHD core symptoms. The study also did not include psychological therapies used for ADHD. According to the authors, these should be regularly discussed with people with ADHD and their family members or carers, and possibly offered before ADHD medications, if appropriate, especially for children and adolescents. ADHD is estimated to affect 5 percent of school-age children and 2.5 percent of adults worldwide. The disorder is characterised by age-inappropriate levels of inattention, hyperactivity or impulsivity, or all of these. The annual costs associated with ADHD are substantial in many countries, including US$143-266 billion in the US. ADHD medications are not a permanent cure for ADHD but may help patients concentrate better, be less impulsive, feel calmer, and learn and practice new skills. Treatment breaks are occasionally recommended to assess whether the medication is still needed, but the treatment for ADHD can be taken for periods longer than 12 weeks. 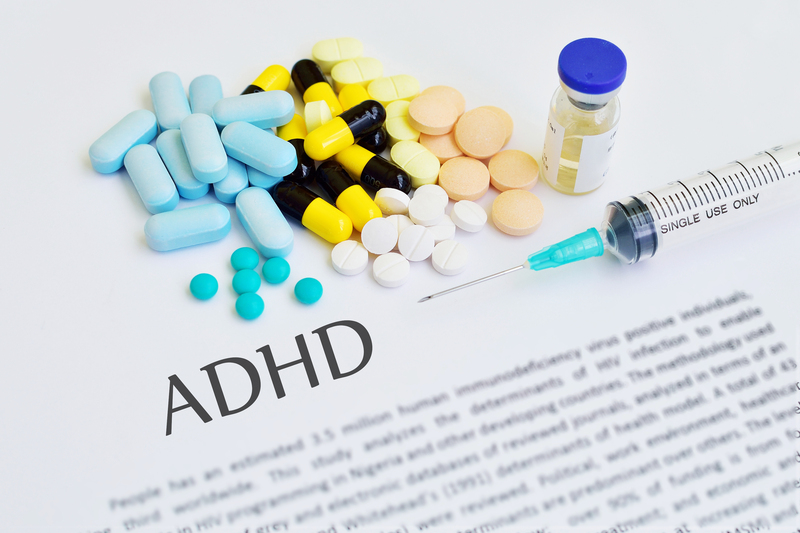 Over the past few decades, prescriptions for drugs for ADHD have increased in the USA and other countries, however, treatment guidelines are inconsistent as there are a few head-to-head comparisons of ADHD drugs available. Currently, the UK National Institute for Health and Care Excellence (NICE) recommends methylphenidate as first-line drug treatment in children and adolescents (with lisdexamfetamine as the second option, and atomoxetine or guanfacine recommended as third-line drugs), and recommend methylphenidate and lisdexamfetamine as first choices in adults. Other guidelines in Europe recommend psychostimulants as first-line treatment without any distinction between methylphenidate and amphetamines being made. The study compared the available drugs based on how effectively they reduce ADHD symptoms and improve general functioning over 12 weeks of treatment. It also studied the drugs’ side effects (including blood pressure and weight loss), and acceptability was assessed according to how many people dropped out of trials for any reason. Of the 133 randomised clinical trials included, 81 were in children and adolescents, 51 were in adults and one trial was in both. Of these, 89 randomised controlled trials included unpublished data or were completely unpublished. Drug effectiveness was reviewed in 10068 children and adolescents and in 8131 adults, while side effects were evaluated in 11018 children and adolescents and 5362 adults. Symptom rating came from teachers and clinicians for children, and for adults these were given by clinicians. Based on clinician ratings in children and adolescents, all drugs were more effective than placebo in controlling ADHD symptoms. But teachers only rated methylphenidate and modafinil as more effective than placebo (there was no data for teacher ratings of amphetamines and clonidine). In adults, there was no data for guanfacine and clonidine. Clinicians rated all other drugs, except modafinil, as more effective than placebo in controlling ADHD symptoms. Comparing all seven drugs, amphetamines were more effective than modafinil, atomoxetine and methylphenidate in children, adolescents, and adults. Generally, ADHD drugs were less effective and less tolerable for adults than children and adolescents, and the cause of this is unknown. Amphetamines, methylphenidate, atomoxetine, and modafinil caused weight loss in children, adolescents and adults. Amphetamines and atomoxetine increased blood pressure in children and adolescents blood, and methylphenidate did so in adults. In children and adolescents, methylphenidate was the only drug with better acceptability than placebo, and in adults, only amphetamines had better acceptability than placebo. Taking all of the outcomes into account, the authors conclude that methylphenidate should be the first option drug for children and adolescents with ADHD. In adults, they conclude that amphetamines should be the first drug to be offered. However, there was not enough evidence available to confirm whether lisdexamfetamine—which is currently recommended by NICE for adults with ADHD—was more effective and tolerable for adults with ADHD than other amphetamines available. In addition, although NICE recommends atomoxetine and guanfacine as third-line drugs in children, the study found these to be as tolerable or less tolerable than placebo. “Our findings will hopefully help people with ADHD in the USA find the best treatment for them by clarifying which drugs should be first, second and third line treatments. With an increasing number of people being diagnosed with ADHD and given a drug prescription in the USA, our study provides a starting point for medication, and hopefully helps patients more quickly find a drug that works for them,” said Cipriani. The authors note some limitations, including that, despite efforts to include all available trials and unpublished data, they cannot rule out missing studies. They had also planned to study the drugs over the long-term (26 and 52 weeks), but were unable to do so as there was little data available. More research to confirm longer term effects of ADHD medications is urgently needed, the team underlined. The study, titled “Comparative efficacy and tolerability of medications for attention-deficit hyperactivity disorder in children, adolescents, and adults: a systematic review and network meta-analysis”, was published online on August 7, 2018, in the The Lancet Psychiatry journal.